Using the same high strength mounting brackets as the popular HD steps, the Iron Cross Automotive Sidearm step is like no step you've seen before. Inspired by a fighter jet wing design and designed with strength in mind. These steps provide the most ergonomic approach to get inside your truck that has ever been made. Iron Cross Automotive is proud to offer these unique steps as an addition to their great American Made products line up. 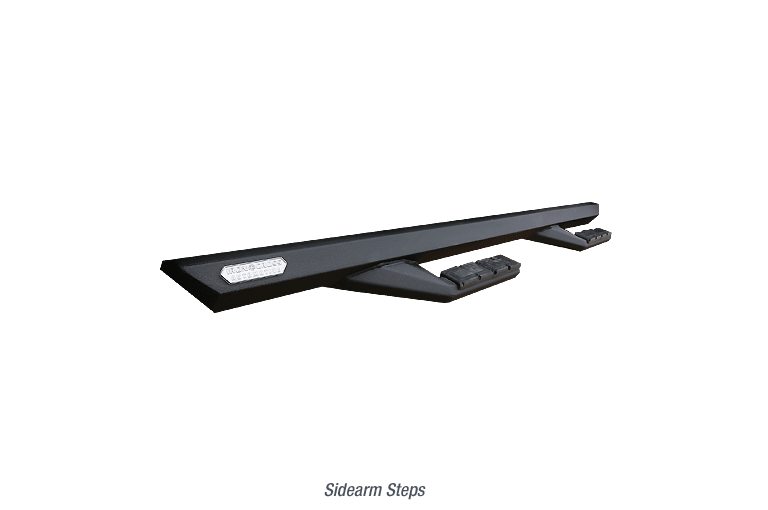 The Sidearm Step comes standard in tuxedo matte black powder coat with a 5 year finish warranty.